Possible account termination when using illegal leveling or illegally obtained gold. Please note and make your wise choice. Mmosale has passed the test and certification of McAfee, which is the most famous network secure vendor. This daily test will insure you a safety shopping. From 2004 to now, we have engaged in the service of WoW Gold and other game currency for 11 years, and have provided excellent online shopping experience for over 180,000 customers. Sercurity guaranteed to buy gold for WoW,SWTOR and every other game. We have passed the strictest COMODO certification and adopted the Privacy Protected ™ Seal program. Meanwhile our site is daily checked by McAfee SECURE ™. We respond in Live Chat within 15 seconds, and reply to tickets or email within 15 minutes. The lights in our offices are on for 24 hours in a day, 7 days in a week, 365 days in a year. Been released after patch 4.3, the Looking For Raid system has brought much fun for team raid, like 25 people's raid. Though it's easier than normal raid, the LFR system requires your character to be strong enough. Since Blizzard announced a restriction on 25 people's raids in Mists of Pandaria, more and more players are turning to Looking For Raid system. Yet to gear up for Looking For Raid system is still critical. Let's see the raids in Mists of Pandaria. This LFR system is the step right before accessing normal raids. Generally speaking, your character's items should be at ilvl 460 for queuing in front, such as Mogu'shan Vaults and the Vaults of Mysteries. These two raids are split from one raid. After the basic raids, you will need average items at ilvl 470 for going further. Here you should understand that item level is different from Gear score. Item level takes into count the item level of all of your equipped gear and then divides it by 15 or 16. GearScore calculates the item's weight against your specialization and counts enchants and gems, giving a better overall view of your gear. Blizzard uses average ilvl as a gate for LFR content instead of Gear score, though it is not a perfect judging method, they can make sure that players at least have some gear for their raids. But item level is only for equipped gear. That is to say temporary bind-on-equip items are not counted in. You'll need actual gears bound to you and equipped, which makes the process a lot more difficult for some players, but also a lot more fair. Since it's the average level of your gear that determines whether you can get into the raid, replacing your lowest ilvl gear will give you the biggest advantage. You'll get a bigger push going from 410 to 458 then you will go from 450 to 458. Item budget is also the same, because you'll gain a lot more stats focusing on your weaker pieces first, which should be your primary focus when you're gearing up for the LFR system. There isn't a lot of good to be had if you join, but can't contribute. After you reach the level cap 90, you may be not even going to have enough ilvl to complete the scenarios. But there is good news that Mists of Pandaria doesn't include PvP Resilience or PvP Power into the items budget any more. You'll get the full PvE stats except the PvP stats. 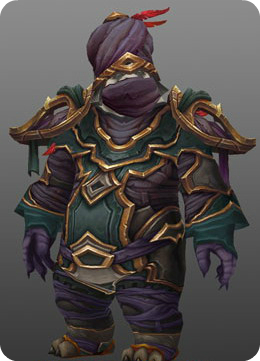 This makes PvP gear feasible for PvE, and can fit in some gear easily as well. So to gain a favor gear, you can try PvP gears, crafted and dropped gears. PvP gear comes in two flavors, crafted (ilvl 450) and honor (ilvl 458). The crafted gear can generally be found on the auction house rather inexpensively. Rare gears are usually dropped from dungeons. The other way is to queue for scenarios. Once you can do this, try Arena of Annihilation. It will get you an ilvl 450 weapon for completing the quest. A note for queuing for scenarios, a goal of reaching ilvl 460 is needed. 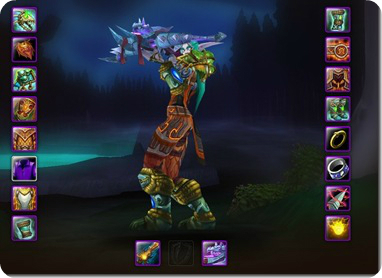 Scenarios and heroics both drop ilvl 463 gear. If you update your major gear to ilvl 463, then you'll have an average 460 ilvl of all your gear. Since there are not many players want to run heroics again and again until all your gears has been upgraded, you should firstly look to some significant pieces which will help boost your average ilvl for upgrading them. One choice, also should be the easiest and very first one, is the The Sha of Anger, dropping ilvl 476 gears and an opportunity of ilvl 483 (pvp)/496 (pve) tier gear. Crafting is another way to get some great gear. All of the crafting professions have ilvl 476 gloves and chest pieces available to you once you level your profession to cap and then get honored with a specific faction. Crafting is not hard. Two ilvl 476 items can boost your average ilvl significantly. Another good option is Valor gear as it is ilvl 489. But to gain enough Valor points really takes time. Valor points are weekly updated with cap of 1000, and earning that through dailies, heroics, or scenarios takes a lot of time. Besides, you need to reach revered with a faction to be able to purchase them, and that takes a lot of time as well. That is to say you should look at the most important upgrade with the fewest point. Necklaces – 1250 valor points and few alternatives out there before raiding. Trinket – 1750 valor points and trinkets are notoriously hard to find, having one really good one will help a lot. Belts – 1750 valor points and they have a socket and will be a piece worth putting a buckle on and gem in that will not be replaced too soon. You might also look at the auction house, only f you have enough gold. There are of course the professions items for sale, as well as some BOE's from world drops that are ilvl 476. While rather pricey, it's the easiest way to go about it. Copyright 2005-2019, Magic Digital co., Limited. All Rights Reserved.